Neck and back injuries are among the most serious type a person can suffer. 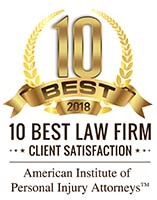 Victims of neck and back injuries who need representation for lawsuits or settlements need a strong Neck and Back Injury Lawyer and staff who can go after those responsible for the injury and extract the maximum monetary awards. 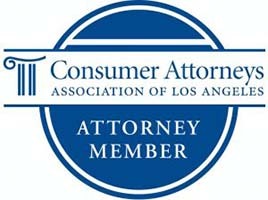 Krasney Law, with many years spent fighting insurance companies and liable parties, has an excellent record of success. Neck and back injuries can result from automobile crashes or other situations. The spine is among the more sensitive parts of the body, and any injury to it can result in a lifetime of pain and disability. Moreover, the spinal cord has limited power to heal, and even if it does heal it may take a long time. We can help if you are injured. We can help you with your claim for compensation from the responsible auto driver or other careless party for the damage or injury caused. If you are in a similar situation, call the team at Krasney Law for a complimentary consultation. We have attorneys and investigators capable of dealing with insurance companies, who try to pay as little as possible, even less than what you have coming. Also, some accident victims may need to file a lawsuit to get the insurance company to pay. Keep in mind, getting you back to good health is a No. 1 priority. Krasney Law’s expert attorneys and staff can investigate the circumstances of an accident and file suit for maximum damages to see that our clients get what they need to cover medical bills, lost wages and pain and suffering. Or, we can negotiate with the insurance company to get you a fair settlement for your injuries. Contact us today for a complimentary consultation. 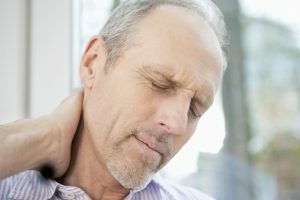 If you or a family member suffered a neck and back injury because of an accident, even if it occurred a long time ago, it is very important that you consult a doctor immediately. The next thing you should do is retain the legal counsel of a knowledgeable California personal injury attorney. 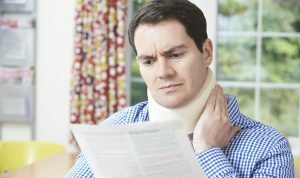 A Krasney Law attorney will ask you questions to find out how your neck or back injury happened. Your attorney will ask how the accident happened, the location and what you were doing there and any medical treatments. Be honest with your lawyer. If you have access to witnesses, newspaper articles or accident reports, gather them and provide them to the attorney. If you encounter someone at the scene who was involved in an accident that resulted in your neck or back injury, be cooperative and courteous, but do not apologize or admit to any guilt. If you do you may be conceding you are liable. Talk only to your lawyer, the police and your own insurance company about the accident. If another driver’s insurance company calls you, refer them to your lawyer or your own insurance company. Don’t speak with the other side’s insurance company without first calling our office. Please keep in mind, the insurance company will want to take a recorded statement to protect themselves, not you. They represent the people that injured you, and they are trying to reduce their financial liability. If the neck or back injury occurred in an automobile or on a bicycle, photograph your vehicle and any damage to it. It can help a case to show the vehicle before the accident, too. Make sure to record visits to doctors and other medical practitioners, the drugs and treatments they prescribe and what you spent on them. Pain and suffering are harder to quantify and qualify, but take notes on how you feel physically and mentally because of the impact of the injury. A person who injures another party may be considered negligent when he acts in a careless and thoughtless manner. Negligence comes in two forms: when the driver or other party failed to do something that would have prevented the accident, or when he did something he should not have done. California law requires drivers and property owners to be careful, and they may be considered negligent when they fail to act carefully. A person bringing a lawsuit must prove he was injured through the defendant’s actions, and that he suffered injuries or losses.